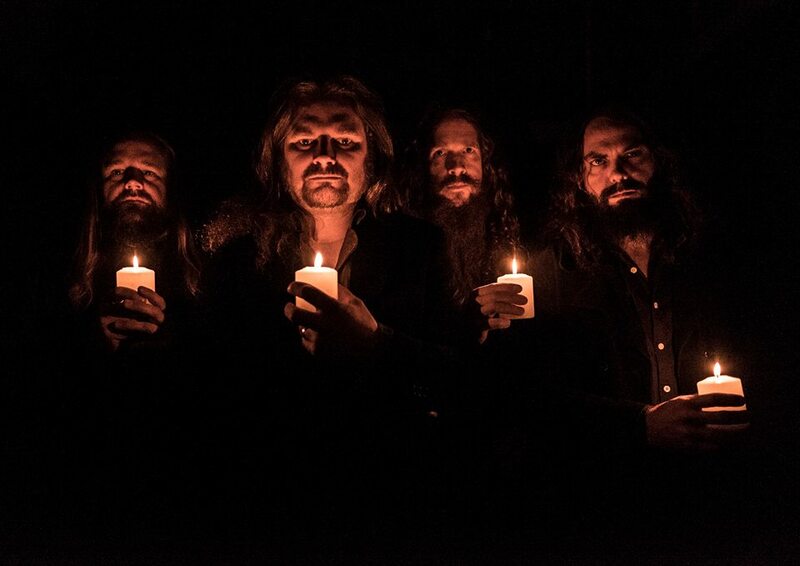 Hard rock band Abramis Brama, have been hard at work on what is their seventh album to date calld "Tusen År". Band members PeoAndersson (guitar) and Mats Rydström (bass) each share their experience about the album and their future plans. 1. 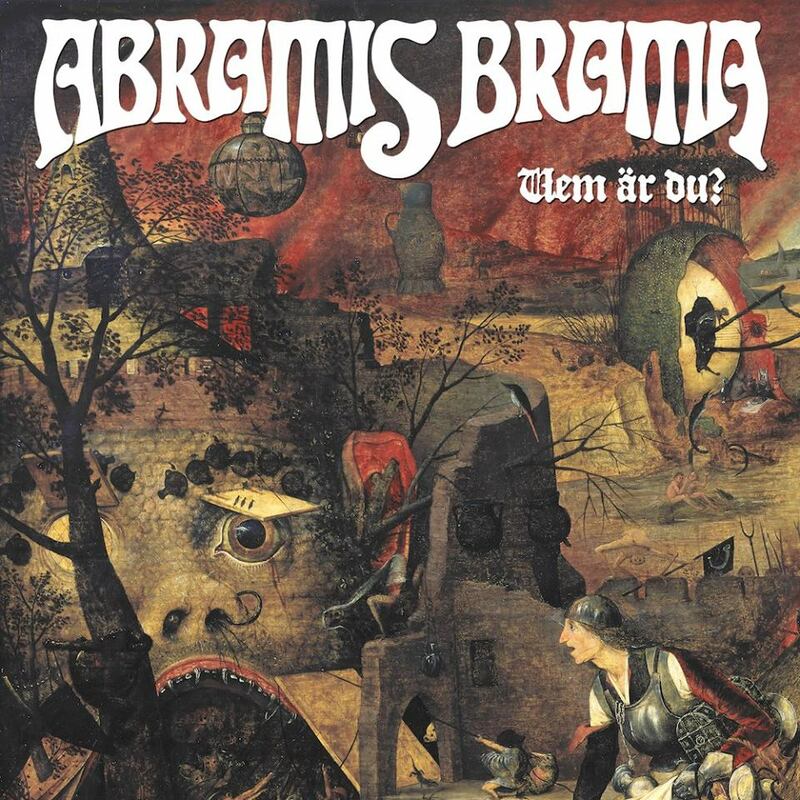 What type of band would you describe Abramis Brama as and why? Peo Andersson (guitar): We are, and have always been, pure and simple a hard rock band. When we began we were, to some degree, influenced by bands like Kyuss, Sleep and, of course, Black Sabbath, and therefore categorized as stoner rock but I don't think any of our last albums sound anything like that. 2. 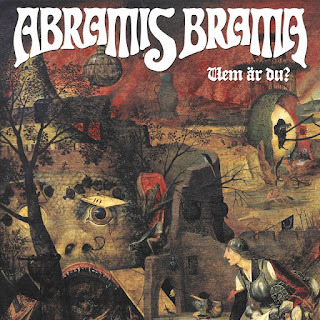 Why go with a name such as Abramis Brama for your band’s name? Peo: Our former bass-player and founder of the band, Dennis Berg, used to work at a youth center where some 15 year old's had a death/black metal band and were trying to come up with a name for it. They asked him for advice and, since he's into fishing, he suggested Abramis Brama. They thought it sounded cool, a bit of magic abra-cadabra and also some mystic Indian/Hindu tint with Brama at the end. When he told them it was Latin for the fish bream they weren't amused. When we started the band and played our first gig, of mainly covers at a private party, we took that name, not knowing we would be stuck with it twenty years later. 3. Who would you say your musical influences you look up to the most? Peo: For the band as a whole I guess it would be Black Sabbath, Led Zeppelin, Deep Purple, Mountain and some Swedish acts such as Pugh Rogefeldt and November. 4. What are your songs about and who writes them? Peo: The songs are about life in general, love, relationships, personal experiences and problems, religion… anything really… but not so much dungeons and dragons. On this new album I've written, pretty much, all of the music. The lyrics are penned by Ulf, me, and our former singer Christian Andersen. He left after the first album in 1999 but still helps out with lyrics now and then. 5. How would you describe the overall sound of the new album? Peo: Pretty diverse. Fast songs, slow songs, heavy and mellow songs. I'd say it's the best arranged album we've done and also the best sounding one. Great job by our engineer Mats Torkelsson! Mats Rydström (bass): Younger bands in our genre often go for a sound from way before they were even born, but I'd say Tusen År does not sound all that "retro" to me, I think it’s pretty timeless. Even though the direction of an album is often the result of a series of successful accidents, when it comes to rock'n'roll, I think we really managed to create a cohesive album that’s both to-the-point and has interesting dynamics. 6. Did the band have any definitive goals they were shooting for before the recording process began for this album? Peo: We were going to make it quick and focused but that didn't exactly pan out. We got regular jobs, families and six children between us in the band, and some of us play in other bands too so it's hard to find the time for all of us to come together. But this is not news to us, it's been like this since, I guess 2003-2004, when we did Rubicon. Music-wise I guess the goal was to continue where the previous album, Enkel Biljett, ended. Simply make the best composed, arranged and well produced album we could muster up. 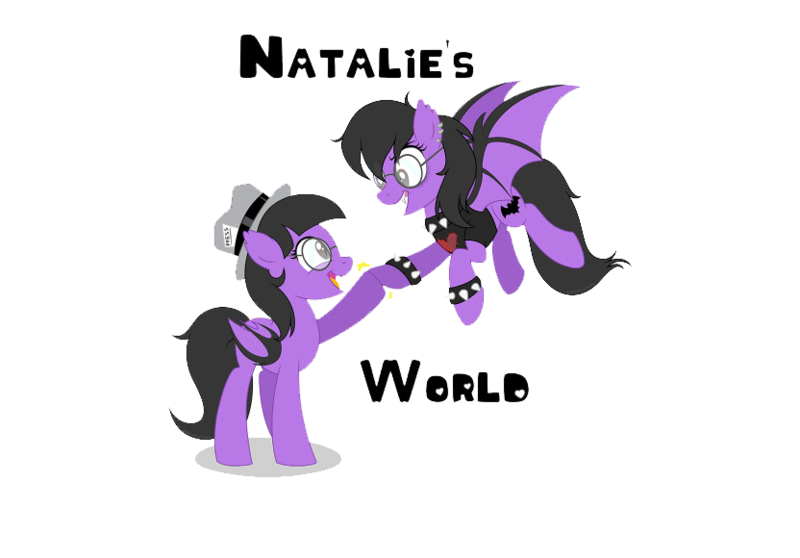 I don't think we had a plan to make a thematic album, a "bluesy", a "hard" or a "dark" album in any way. It's just the songs that came out then and there. But we did try to make the best of every song, which can be a problem if you try to make a hit single of every tune, but I think it worked out well. Mats: I had recorded a few other albums in the last couple of years where the basic live tracks had been used to a large extent, and I suggested that we try to play as we would do live and see what we came up with. We ended up keeping a lot of vocals from the original sessions, and most of my favorite bits on the album are the live takes. I also feel that this record grooves better and more organically, because of this approach. 7. Are you using any new instrumentation you've never used in the recording process before? Mats: We did use the cutlery tray for percussion on the single Vem Är Du, but apart from that it’s almost the other way around. A lot of times you experiment for the sake of it, but this time we mostly used sounds that we would playing live. We had dual guitar amplifiers running for Peo, which created a massive guitar sound, and he was also able to work more with the feedback of the guitar, like he would on a stage. Peo: Otherwise I used pretty much the same gear as always, Gibson, Marshall, Orange, maybe a new delay and reverb pedal but no big change in guitar sound. Though, I did choose not to use wah-wah on any song. 8. When did you start writing for this album? How was the songwriting process different/similar to previous Abramis Brama albums? Peo: Songwriting is always going on. I might have had some of the riffs for the new album already in my head even when we were doing Enkel Biljett, and I already have some new songs on the boiler for the next album... The process has altered in the sense that I now provide, pretty much, all of the music. I show the guys a riff, verse or even maybe a whole song I've come up with and then we arrange the songs together, pick them apart and put them together again until everyone is satisfied. We work in a very democratic way, no bickering, we move very much in the same direction. We then recorded an instrumental demo in the rehearsal room and, if I hadn't already come up with lyrics, Ulf took it home and wrote them, sometimes with the help of Christian. 9. How does "Tusen År" compare and contrast to "Enkel biljett"? Peo: I think we streamlined our music. No dull moments, always something happening. There are not so many tempo changes, strange time signatures and awkward chords or notes. That might sound boring to some, but that’s the way I write music. But there are still some twists that might make you sprain an ankle if you're a four-to-the-floor kind of person stomping along to the music. 10. "Enkel biljett" had quite the run that it did, so did you feel any pressure to follow it up? Peo: Sure. For me personally, I have to say it's a bit nervous. The music on "Enkel biljett" was in some ways the "old" Abramis Brama and this is new version, and I'm a bit curious how our fans will receive it. Will they like it? I, for one, think it's easily the best album we've done and will hopefully gain us a lot of new fans. 11. It's been four years since the release of "Enkel biljett". Why such along time period between albums? Mats: Why not? We did plenty of work with "Enkel Biljett", playing live as much as we could. Sure, I would’ve liked less of a gap between the two, but as Peo said, there's life outside the band. Some bands these days release an album every year, to stay on the road. If everything you do is either tour or work with your music, what do you absorb, what do you reflect upon and what is the content of that music? On the other hand... In the same time frame, four years, The Beatles went from Help to Abbey Road, haha! 12. Can you go into one or two tracks on the new album? If so, can you give us the track title and brief description of how the track sounds and how it came about? Peo: "Tusen År", the title track, is probably the oldest on the album. We've been working on that one for years. A heavy, Sabbath-esque song with lyrics about how the elite, throughout history, use religion to oppress and rule over people. Very cool harmonica and drums by Ulf and Trisse on this one. "Vägen Ut" is a cover version of Vengeance by the U.S. band Ashbury. Mats played this one in the tour bus a few years ago and I immediately knew we had to do this song. As soon as I got home I tried to figure it out and on the next rehearsal we tried it. It's one of those songs you really wished you'd written yourself. I can't say I managed to emulate Randy Davis god-like guitar playing but it came out well. Very cool song. 13. What comes to mind, when thinking that "Tusen År", is the band's seventh album to date? Peo: Who would have thought so twenty years ago? I didn't, for sure. Maybe we could have made more albums but I'm satisfied and proud of what we've achieved. It's become part of my life and I will carry on with the band as long as its fun. It has to be fun going on the road, rehearsing and so on, otherwise you'll just end up killing each other. 14. Where do we plan to see Abramis Brama go from this point forward for 2018? Mats: We will keep touring in Sweden, but I also hope that we finally can get going on more trips abroad. We have a solid fan-base in Sweden but it’d be fantastic to go play new places and meet new people as well. If that's any proof, we did play a very nice festival show called AquaMaria in Germany last fall, that proved to me that people can really get into the music without really knowing what we’re singing about. I personally really dig Magma, not despite the fact that their language is obscure, but because of it. I’m also going to do some inventory of live recordings, which could maybe be used in some way to celebrate the 20th anniversary of the band, and I’m already looking forward to work on some of the songs that didn’t make this record. Peo’s very prolific and keeps bringing in great material, so the future looks very bright.